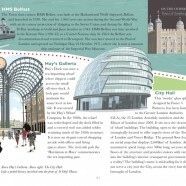 The London Thames Path is a brand new book by author/illustrator David Fathers. 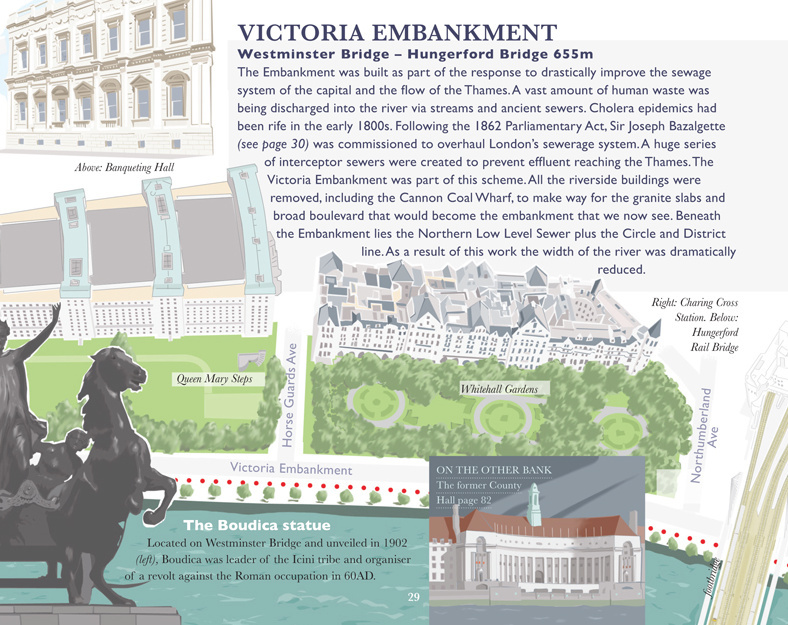 Like his previous book on the Regent’s Canal, it is an attractively illustrated narrative to walking alongside the water feature, with every double-page having a map, surrounded by pictures and information factoids about the current section. 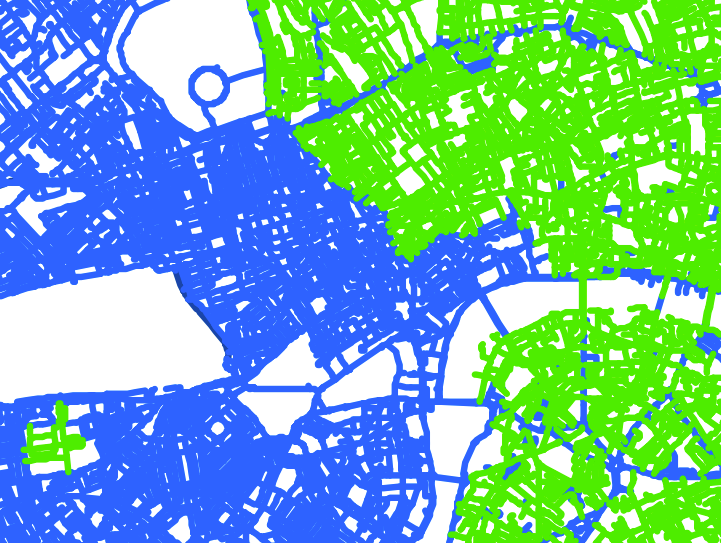 As such, it’s very pleasant to read even if you are not using it as a guide book. 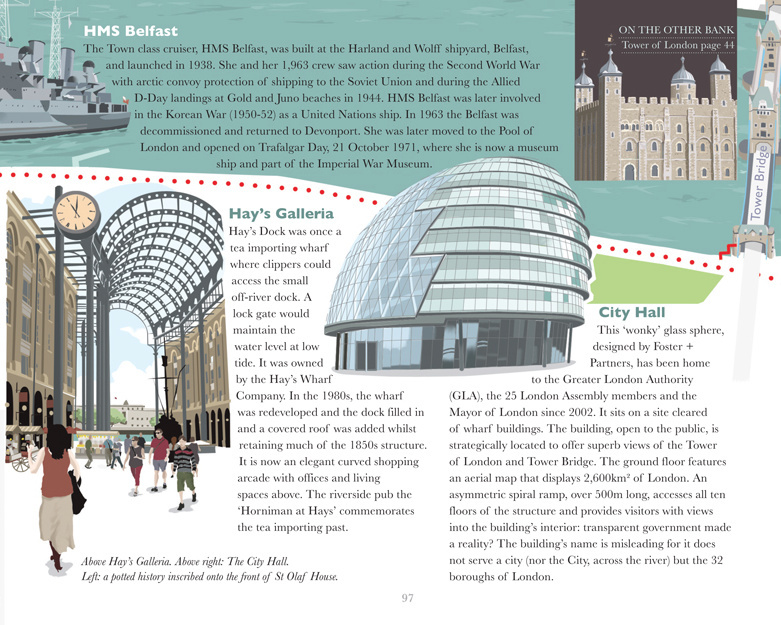 The Thames, being the defining geographical feature of London, is packed full of history and the book delivers this well, be it talking about historic monuments and houses alongside the river, to geographical quirks like the Prime Meridian and measurements of the lengths of all the bridges passed. 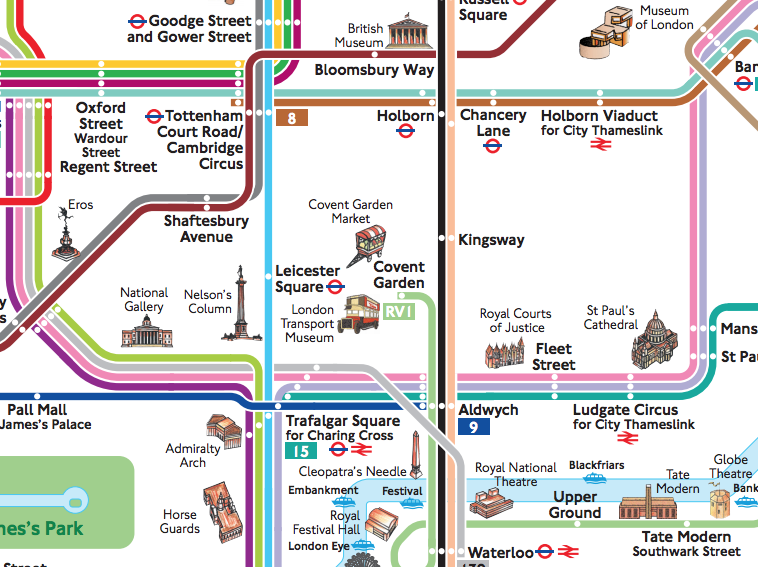 The route is shown as a simple red dotted line, with staircase links and nearby tube/rail stations and piers marked. 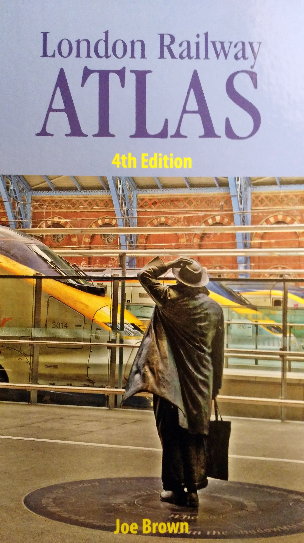 You could probably manage to walk the Thames Path without this book, but having a guide like this, carefully written by an author with a genuine interest in the route, makes the experience much more interesting. 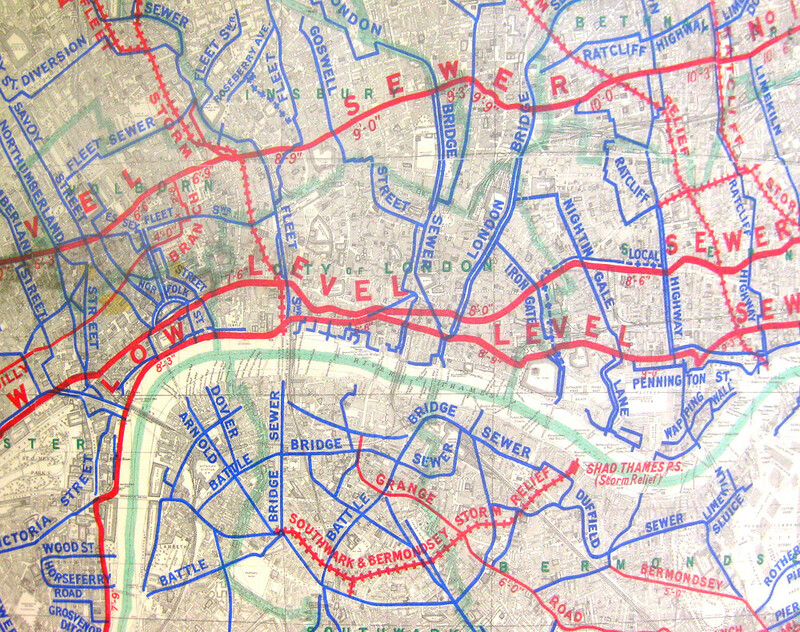 The guide has 127 pages and includes a summary map showing all the crossings on two pages, and a further double-page spread on the Thames Estuary, i.e. 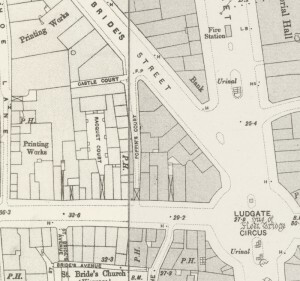 further downstream from the section of the Thames (Putney Bridge to the Thames Barrier) that the main guide concentrates on. 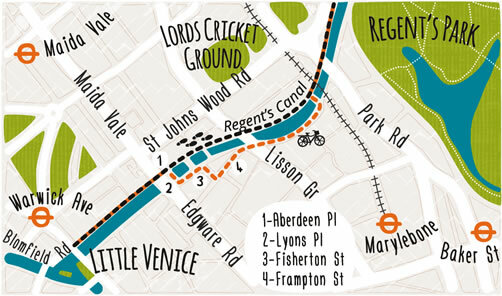 Where the Thames Path runs on both sides of the river, both sides are included. 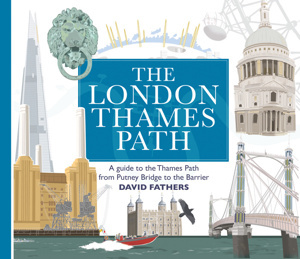 The London Thames Path is published by Frances Lincoln Publishers and is released on 7 May. You can be among the first to get hold of this gem by ordering it from Amazon for shipping next week. Thanks to David Fathers for sending a review copy.